Consumers get instant and permanent access to a hassle-free sustainable lifestyle without the headaches that come with solar panels, battery packs, water purifiers, grey water systems, smart meters or recycling. Our business model for sustainable lifestyles as a service is based on a proprietary design of deeply integrated modular cleantech infrastructure combined with master planned communities that provide consumers instant and permanent access to the hassle free sustainable lifestyle they desire. The modular platform is scaled up simply by increasing the quantity of units deployed, thus eliminating repetitive engineering streamlining the entitlement process and increasing our speed-to-market while lowering risk and avoiding the dreaded requirement of installing expensive backbone infrastructure. Standardizing a sustainable infrastructure platform allows us to standardized neighborhood scale projects. In turn, this enable us to standardize our finance deal flow. Repeating a successful deal structure captures economies of scale and overcomes barriers to deploying funds across a pipeline of projects. Building self-contained communities with modular cleantech increases profitability by allowing us to locate projects beyond the municipal service areas where land is less expensive and yet where natural amenities abound. The stand-alone infrastructure platform allows us to avoid the installation of costly backbone infrastructure that normally comes with locating beyond the electric, water, gas and sewage grid. Independently sustainable communities can acquire entitlements quickly and easily because you are not asking the municipal gatekeepers to grant you access to their limited utility and service capacity. The model allows us to leap-frog over site constraints and the bottleneck of permits posed by the lack of municipal infrastructure and increases our "speed to market". The model controls more aspects of the development process, lowers costs, expands income sources, reduces time exposure and lowers overall risk. Combining real estate development with our sustainable cleantech infrastructure platform creates tremendous values well beyond the sum of the parts. The business model leap frogs over industry constraints allowing us to create strong values, then removes barriers for delivering that value, while creating a unique value proposition that allows us to efficiently capture that value. 1. We are able to lower our land cost. 2. We convert up front cost centers into long-term profit centers. 3. We diversify and strengthen our income model. 4. We eliminate uncertainty and delays posed by the entitlement process. 5. We leap-frog over the barriers of poor or non existent utility service infrastructure. 6. We reduce risk and lower the capital requirements. From the consumer's view Sustainable Lifestyle Communities are far superior to a traditional neighborhood. They perform better and are less expensive to operate for the homeowner while providing a sustainable supply of their most critical resources. We build master planned communities at some of the world's most beautiful locations where our residents live sustainable lifestyles surrounded by pristine natural surroundings and outdoor recreational opportunities. We endeavor to integrate the essence of each location and deliver memorable customer experiences that inspire, invigorate, entertain and educate while providing the meaningful escapes, unscripted discoveries and the immersion in nature that our customers desire. Our proprietary cleantech infrastructure systems are monitized through our "Sustainable Infrastructure as a Service" business model. We build, own and manage all infrastructure with resident home owners under long-term utility and service contracts resulting in asset backed income streams producing strong financial returns. Contract rates increase over time above inflationary adjustments while cost factors decrease over time. We monitor maintain and upgrade systems to maximize return on investment. After certain financial return hurdles are met, residents begin to acquire equity interest in the systems. Built in tandem with our real estate development projects our sustainable infrastructure systems produce and deliver all required utilities and services by capturing and converting all waste, sewage and trash and using only the renewable resources on site. This is a modular and scalable system creating a sustainable, zero waste, carbon neutral neighborhood that liberates our residents from the global supply chain for their most critical resources including water, energy, food, fuel, and digital communications. "Sustainable Infrastructure as a Service" provides our home buyers with the hassle free sustainable lifestyle they desire and creates additional profit centers for our company while delivering positive social and environmental impacts that address some very important global issues. 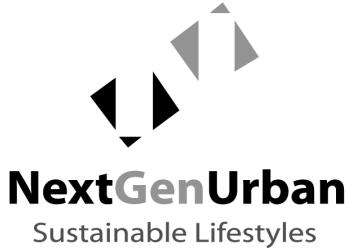 NextGenUrban is creating the first institutional quality real estate portfolio comprised of self-built "Sustainable Lifestyle Communities" to be united under the NextGenUrban brand offering consumers instant access to a zero-waste carbon neutral life.